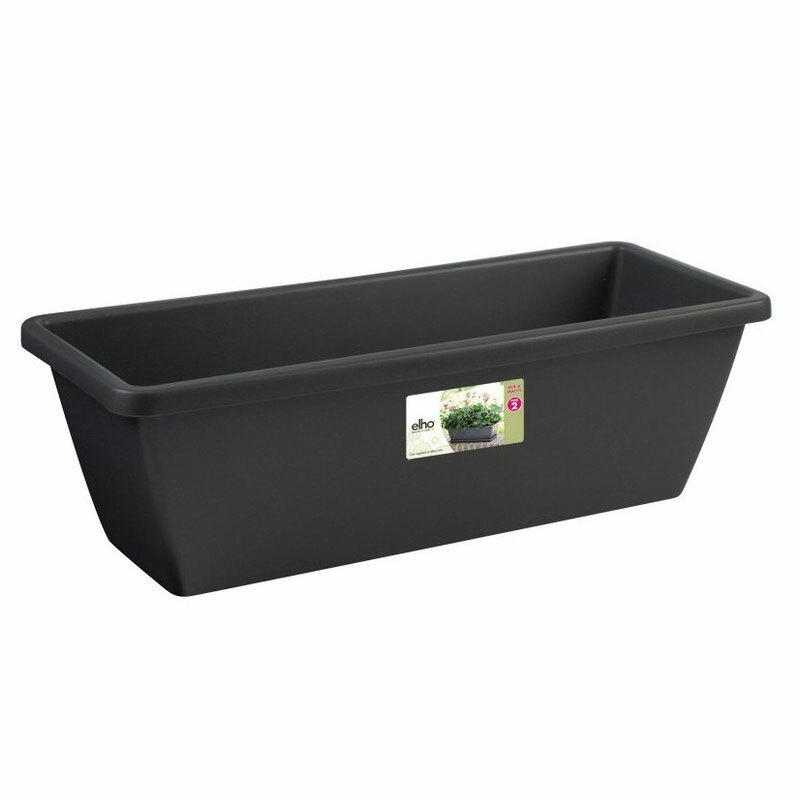 Elho Barcelona Trough Balcony Planter 50cm in Anthracite design provides a stylish premium quality garden planter suitable for a windowsill, wall, balcony or patio position. Deep 10 litre planting volume with pre-drilled drainage holes in the bottom, makes Elho's city-trending planter well suited for growing and showing flowers, herbs or shallow rooted vegetables. Available in many other colours and additional matching saucer trays also available. I am very impressed with this product & the firm. 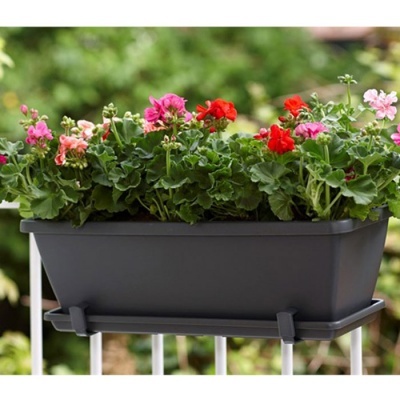 Delivery was very quick, the prices were competitive & the window boxes look very smart. I am still waiting 7 days on for delivery of similar products from another firm ordered at the same time. I will be ordering from Bosworth again. Thank you.